← Why Do Cats Scratch Carpet And Furniture? This is a really cool page. I really liked the look of the real tree but, alas it is not stable. 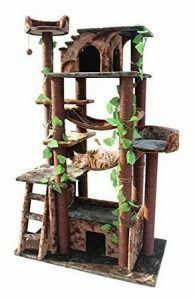 So after looking them over, I would pick number 5 and put some carpet here and there and possibly incorporate some other scratching type material too. I really like the other two that have the real tree look as well. I also like the wall hanging one at the start of the page. 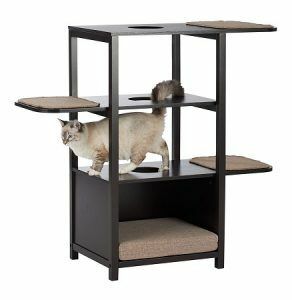 I guess you can tell, I spoil my furr babies. lol, there’s nothing wrong with that! 🙂 Means you think highly of your cat which is pawesome! Great post. 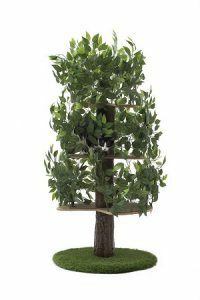 These cat trees ALL look awesome; and extraordinary. 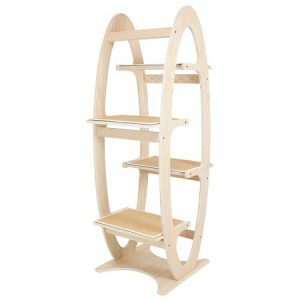 Number 3, the “Tertis” tower is crazy and I love it! It would fit our interior so well. The New Cat Condos Premiere is also beautiful! Thanks for this great buyers guide. Well written and very informative! I am so psyched! 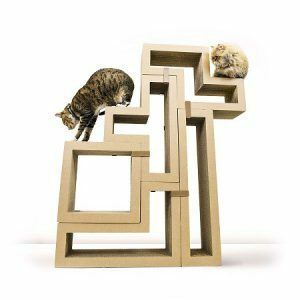 I have been looking for something my son can build his girlfriend for her cats. Here comes your website. He has been looking, but that wall climber was exactly what she is looking for. He can make it for Christmas and then put it up when she’s not home. It’ll be sooooo cute – she would be thrilled. Anyway, great article – can’t wait to show my son. Let me know how it goes if you remember! This is a very interesting and refreshing post. I love all the choices you put. 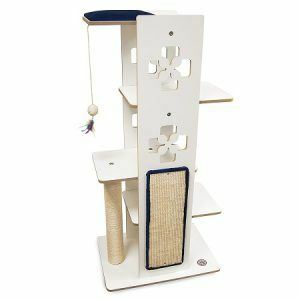 I think the PETMAKER 4-TIER CAT TREE is a model that her cats will love, and would suit the room they live in. Thanks, I will bookmark this and consider buying one as a gift! Aww!!! That would be so sweet of you to do that for your sister and her cats. 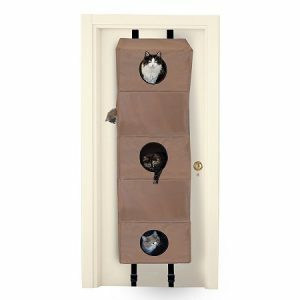 First I would like to say thank you for creating a detailed article on some awesome unique cat trees and towers. It has made my decision a lot easier to narrow down. Second, when you said unique you meant it. 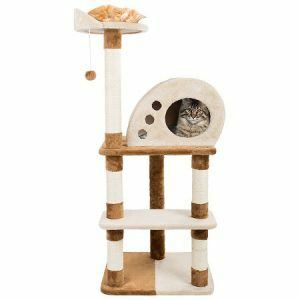 My favorite cat tree is the Catastrophi Creations Deluxe Cat Playplace. I like the way it looks like it’s floating on the wall. I can image my cat ( a Russian Blue) sitting and posing like one of those cats you see in the Egyptian movies. Plus the set-up can be configured a lot of unique ways. I can see the wall mounted being on a lot of people list. 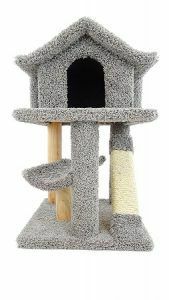 The other cat tower that grabbed my attention is the Tangkula 30″ Cat Kitty Pet Toy Playhouse. 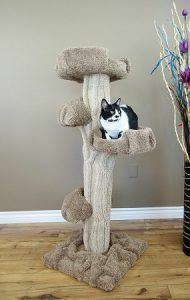 It is cute and will match the color of my cat! It will give her a place to hide when company is around. 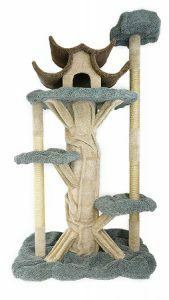 Do you clean your cat tree or tower when it gets dirty or do people just buy a new one? Thanks for sharing your thoughts and experience with us. Your cat sounds like an amazing kitty. 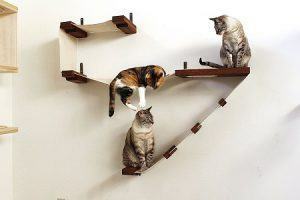 I also love the wall-mounted cat tree units by CatastrophiCreations. They are awesome! As for your question, it depends on the person’s personal preference. 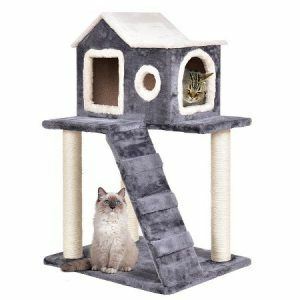 You can vaccuum fur and debris off the cat tree but it is more difficult to give the carpet/plush a good shampooing since it is fixed onto the tree. Some people just let it wear down and get a new one while others shampoo it. If you shampoo it, make sure that you get all the water out with a wet/dry vac. I’ll post a more in depth article later on and link it for you. Thanks for your question and if you have any more please don’t hesitate to ask!